The 5th Sugar Asia Exhibition was held in Bangkok on 28th & 29th May this year. ACFA Director and Bonsucro Board Member, Robert Quirk, attended as a special guest. Over 120 delegates attended the conference from around 30 nations. As well as being on the organising committee, Robert addressed the delegates on the topic “Result of 20 years work in the development of a Green Cane Harvesting Systems and Full residue retention in the Wet-Subtropics”. 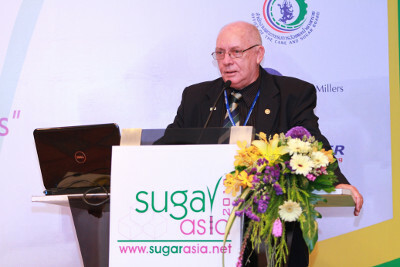 To read more about Sugar Asia 2013, please click here. To view picture from the Exhibition, please visit the Sugar Asia Exhibition Gallery.